In these last days of the year, New Horizons will make its final course corrections to ensure that the mission reaches its destination at the exact moment designated for the encounter time. All of the New Horizons instruments will come to life for the first time since the encounter at Pluto, taking thousands of measurements of the most distant object ever explored by humankind. 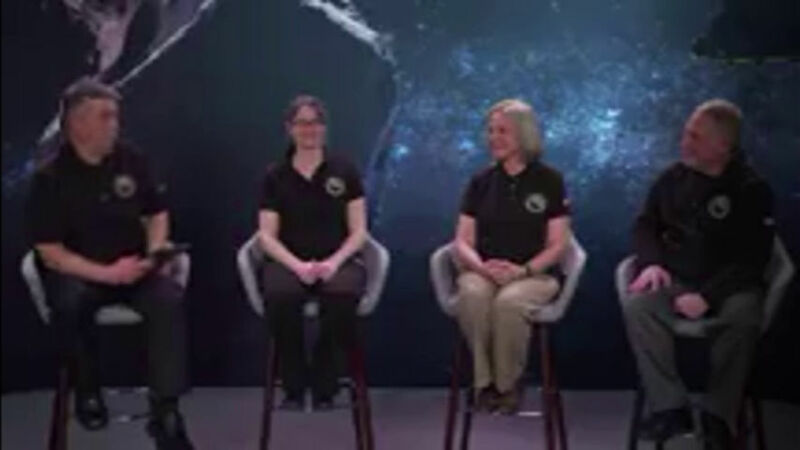 In addition to feature interviews with the three leading scientists, the program was interspersed with quick hits on the New Horizons mission so far, including a helpful animation explaining the distance between Earth and Pluto in terms of car trips across the USA. Representatives of The Planetary Society, plus Chris Hadfield of the Canadian Space Agency sent featured greetings. The government shutdown has affected operations at NASA, and has also caused NASA Television’s YouTube streams to shut down. Eighteen minutes of the half-hour program made it onto the JHUAPL YouTube channel at stream time, but the rest was posted by the end of the day. Further updates will continue on the JHUAPL YouTube channel, even if NASA doesn’t get back to normal business. What’s next for New Horizons? Following its record-setting encounter with Ultima Thule, New Horizons will spend 20 months downloading the data from its encounter to the NASA Deep Space Network, at an ever-decreasing bitrate. Finally, in 2021, the spacecraft will be ready to accept new instructions – including the very real possibility of even more distant encounters – right through the end of the 2030s. This is the bonus round for New Horizons, perhaps just one of many ahead.